Just a quick reminder that the 75% off offer ends December 31, 2014 at the witching hour! The vCon Is Back for 2015! The 2015 Ultimate Accounting vCon featuring Michelle Long and Sandi Smith Leyva will feature 2 days of high-quality training on marketing, pricing, technology, and practice management tips on May 7-8, 2015. Hundreds attended last year and we expect lots more this year. Hot topics include value pricing, advisory services, social media, cloud accounting, dashboards, and apps galore. Call or email Sandi for questions. support@sandismith.com or 972-803-5868. Want QB Tips, Tricks & Advanced Insights? Register for QB Power Hour Webinar Series NOW! It’s FREE with FREE CPE! Uh oh — there’s a problem! We are approaching 1,000 people registered but we only have 500 seats for the live webinar. Thus, I will be updating the GotoWebinar subscription! What a GREAT problem to have but we want to make sure there’s room for everyone to attend! If you haven’t registered yet, register now! Join me and Hector Garcia for the inaugural webinar of the new, QB Power Hour webinar series. 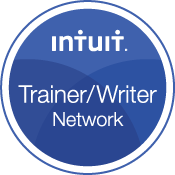 QB Power Hour is a free webinar series designed and presented by two accounting professionals (CPAs) and Top 100 Small Business Influencers: Michelle Long and Hector Garcia both of whom are very passionate about QuickBooks. The QB Power Hour webinar series will be live every other Thursday at 12:00 pm EST. You can earn one hour of CPE free during the live webinars. Then, we will post the recording into our archives which you can go back and watch at any time (no CPE). 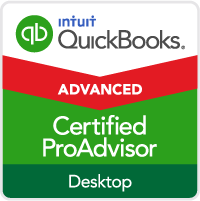 Whether you are a QuickBooks Online user or a QuickBooks Desktop (Pro, Premier, Mac, Accountant, or Enterprise) user, you will enjoy the powerful tips and tricks we will be presenting every other week. Yes we will cover BOTH QB desktop and QB Online! Don’t miss it – register now! Only the first few webinars are listed here, but this is an ongoing webinar series. 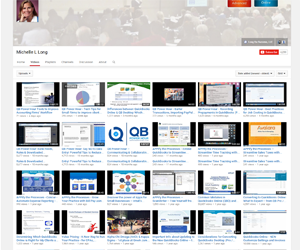 Upcoming webinars in the QB Power Hour series. You can register for the first 10 all at one time and you will get reminders prior to the webinar. However, you will need to add susequent webinars to your calendar (they are not all automatically added). 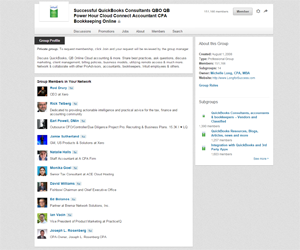 10/02/2014 – Connecting & Collaborating – Powerful communication between QB user and Accountant (for desktop and QB Online). Plus, Intuit execs will join us to answer questions about the upcoming QB Connect conference (http://qbconnect.com), the new Advanced QB Online Certification and more. Register now & join us for the inaugural webinar! To your success and I hope to ‘see’ you there! Don’t be sorry you missed these 2 GREAT Events — QB Power Hour and QuickBooks Connect – now with Magic Johnson & Martha Stewart too! I hope you will not be sorry you missed either of these great upcoming events! 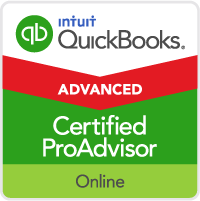 Make sure to register now if you are an accountant, bookkeeper, CPA, QuickBooks ProAdvisor, small business owner, developer or a QuickBooks user! Both are first time ever events and I’m super excited about both of them! I hope you will register for them both NOW! I appreciate the votes and support in the past for Small Business Influencer. It would be great if you could vote for me again this year and you only have to vote one time! No email is required — just a click and that’s it! Thanks for your support! If you would like to ask other people to vote for me too, that would be great! Only one vote per IP address so no need to worry about voting daily! 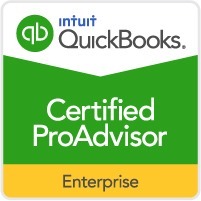 QuickBooks 2015 – Check out What’s New! Embracing eCommerce and expanding sales channels, is not something a business at any size can afford to ignore. With order volume growing, the next challenge is to ensure smooth operations: getting your customers the items they ordered, as fast as possible, while minimizing errors and warehouse labor costs. Register now for the FREE webinar. If you cannot attend during the scheduled time, register so you get the link for the recording emailed to you. If you attend the live webinar, you may win free prizes like an autographed copy of my QuickBooks Practice Set! The webinar is Tuesday, Sept. 9 and starts at 1:00 pm Central Time and lasts one hour. Register now and please share with others who may benefit from the webinar!